March 3 ~ for 6 weeks after Worship. 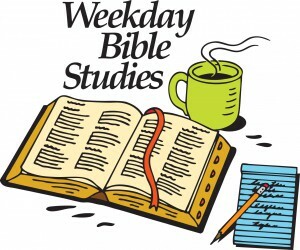 Fridays at 7:00 - 8:30 a.m.
Friday Men’s Bible Study meets every Friday at 7:00 a.m. at Copper Skillet Restaurant in Dublin for breakfast, Bible study and conversation. Right now, we are studying Romans. All men are welcome! If you would like to join us, please contact Pastor Randy at (319) 404-8463 or jkpcrandy@sbcglobal.net. “Your Powerful Prayers” by Susie Larson. We meet on the first and third Tuesdays in member homes from 10-noon. We would love to have you join us. For more information please contact Paula Miller at (925)-556-0125.